This is a Programme initiated by the British Council. A number of activities with an international dimension are organized by the school . 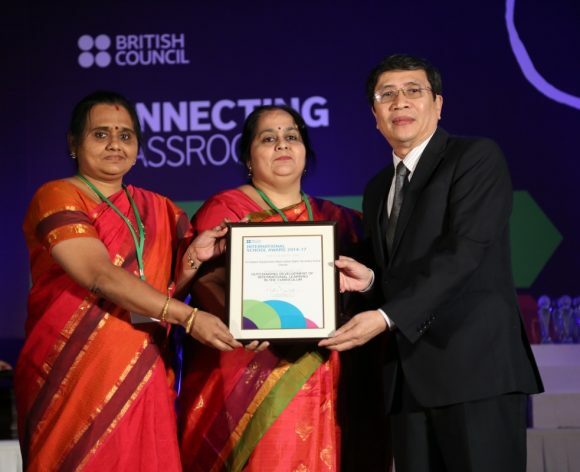 The successful completion of the activities results in the school receiving the International School Award . This accreditation is renewed once in 3 years. The ISA Programme is a step forward in creating awareness among students about other countries and communicating with students from schools abroad. In short,the students are trained to become global citizens –The need of the hour. 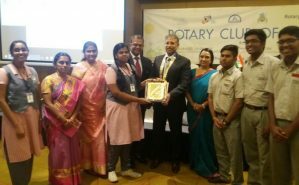 Our Interact Club received “ The Best Interact club “ Award among Zone II schools awarded by the Rotary Club of Madras Dist 3230. Pooja A of class XI received a consolation prize for the Four Way Test Competition for the year 2016-17. 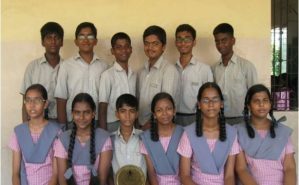 Our School is one of the recipients of the “Best Karadi path schools of 2015 -16 “ among 10 schools in this category. The Interact club won the Bank of Baroda Rolling Shield for mobilising the maximum number of donors amongst schools organizing Blood Donation Camps. 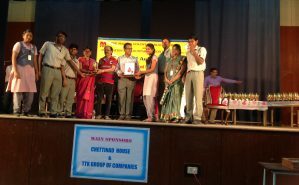 The awards were given on 16th September 2016 at the 40th Annual Awards Ceremony of the MVBB (The Madras Voluntary Blood Bureau ) and The Association of Voluntary Blood Donors (T.N ) .Dr V.V.Bhashi and ‘Kalaimamani’Crazy Mohan were the Guests of Honour at the function and gave away the awards .